Your dream is to become a New York state teacher. Do any of these describe you? or you taught in another state and now you hope to teach in New York. Whatever your age or background, you have done the work, passed the classes, and now there is just one more step: passing the NYSTCE exams. And it does come down to just that. Pass or fail. High stakes? Yes. Can it be done? Yes. But how can you give yourself the best chance of passing the tests the first time? And how can others’ experiences help you save time and money? How Difficult Are the NYSTCE Tests? Ralph Waldo Emerson said it best: “Know thyself.” What do you know about your test-taking strengths and weaknesses? Do you tense up at the word test? Are you great at writing essays but confused by multiple choice tests? Would you rather take ten multiple choice tests instead of writing one short answer? Or would you rather not take any test at all? Scary? Yes. Even with New York’s “safety net” score of 500 instead of 520 for the EAS, candidates still fail the test and must retake it, sometimes more than once. The good news? You may retake any test over and over until you pass it. The bad news? There is a waiting period to retake tests of 30 or 60 days, depending upon the type of test you need to retake. Unless you can get a voucher to pay for a retake (check to see if you are eligible at www.highered.nysed.gov/easretakecertexam.html), you will pay the same registration fee as your first exam. The worst news? Add up the days from the time you take the test until you learn the results (info on dates is found at the “Score Reporting” portion of the “Tests” tab of NYSTCE page). This could range from 14 days to 30 days. Next, add the 30 to 60 days for each test waiting period. If you were planning to find a job, failing the test could mean another three months without a paycheck. Also, you need to find another $92-134 or more just to register. The following NYSTCE test prep cheat-sheets give you straight-forward advice to pass the NYSTCE test quicker. What do you do next? It may be old, but it’s true: work smarter, not harder. Seek the best possible preparation help so you can pass the tests the first time! No matter how top-notch your NYSTCE practice tests are, they’ll mean nothing unless you know how to answer constructed-response questions, for the Computer Based Tests (CBT), written tests like the Liberal Arts and Sciences Test (LAST) and Assessments of Teaching Skills—Written (ATS–W). A NYSTCE practice test can replicate real exam questions and testing conditions giving you practice essential to acing your exam. Example exams get you familiar with the format, structure of test questions, be well-practiced, more confident and relaxed. Use NYSTCE practice exams as an evaluation tool. Notice where you lack knowledge and put time into mastering those areas. See where you need to sharpen your test taking skills and work to bring up those areas before your testing date. Whatever you do, don’t walking into the testing center unfamiliar with the wording and structure of test questions and answer choices. The exam room isn’t the time to learn the directions and struggle over the types of questions. Be prepared in advance by getting sample questions that mirror the real exam. Take many NYSTCE practice questions and mock exams as you can to sharpen these vital skills. Information about the percentage of types of questions and scoring for each exam can be found at www.nystce.nesinc.com under “Find Info.” Knowing this information about your specific test can help guide your NYSTCE test prep in a more direct path to a passing score. But what is the best way to study the information? Researchers Kulik, Kulik and Bangert combined information from 40 studies in 1984. These studies showed that students can raise their scores on aptitude and achievement tests by taking practice forms of the tests. (Kulik, J. A., et al. “Effects of Practice on Aptitude and Achievement Test Scores” American Educational Research Journal, 1984.). How much can education students gain from NYSTCE practice tests? According to the research, “gains were larger when identical forms of a test were used for practice.” The amount that students gained “increased with the number of practice tests given.” Also, the gains were higher for “subjects of high ability” than those who were of lower ability in the first place. This is great news for anyone willing to put in the effort to complete practice tests for NYSTCE. But how much time and effort should you need? According to the grad student Amy Smith, co-author of a recent Tufts University study on stress and memory, “. . .it is not necessarily a matter of how much or how long someone studies, but how they study” (https://now.tufts.edu/news-releases/practice-testing-protects-memory-against-stress). Take the free 12-minute NYSTCE practice exam on the official New York State Teacher Certification Examination website. You should know that more practice may not mean perfection, but it should help you become familiar with what is on the test. But one 12-minute test is not enough. The question is where do you go from here? The test material must be current. Some candidates complain they purchased materials whose copyright was the only thing that had been updated for NYSTCE revised tests. Compare editions. Has anything changed as the actual test changed? The NYSTCE practice exam must contain information that may be on the actual exam. That way you can find your strengths so you can focus on your weak areas when you do use your time to study. The NYSTCE sample questions must have the same format as the actual test. If the questions are not worded like the ones on the real test or are too simple, it is not the best practice test for you. Your NYSTCE practice test questions has an answer key. It might be tempting to simply score your practice exams using the answer key in the back of your study guide and move on. -Don’t make this test preparation mistake! Analyze exactly why you got it wrong. Did you make a mistake with your math? Did you misread the directions? This NYSTCE testing practice helps you understand why you got some answers wrong (as opposed to simply marking it wrong). You’ll be surprised at how answer keys can provide you with plenty of powerful tips and strategies for each subject area. This can help you to pinpoint your weak test content areas and address them while you still have time. Some lousy NYSTCE test practice questions don’t have full answer explanations. If your practice exam doesn’t include rationales and you’re not sure why an answer(s) are wrong then, you must look up the information either online or in reference materials. If you don’t this same concept may surface in a different form on your actual exam and cost you points you need. 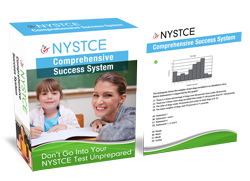 Get NYSTCE study guides that include practice exams with full rationales and explanation in the answer keys. The answers must explain reasons a certain answer is correct and why each of the other answers are incorrect. If you can see patterns of words or phrases in your incorrect choices as well as your correct choices, you will improve your chances of passing the real test. It’s critically important to get as much ‘exam-like’ conditions as possible. Being in an unfamiliar test center surrounded by strangers is different than sitting in a quiet study area where you may have done your test prep. This can cause some distraction and break your full concentration. Therefore, you should artificially create some distractions while taking NYSTCE practice tests. That doesn’t mean it’s ok for friends or family to interrupt you during your NYSTCE practice exams (which won’t happen during the exam), it means getting practice with some competing noise and movement in the background. A noisy library or other location like a coffee shop you’re unfamiliar with where there are people coming and going will do the trick. You’ll be tempted to constantly look up and see what’s going on around you. You may feel stressed an annoyed at various distractions, noises and movements around you. Practice keeping your focus on the test questions and answers. Breathe to keep your adrenaline and stress low during this exercise. This exam simulation will make you perform much better on the official exam. That is, when you need to concentrate in an unfamiliar location, under pressure with distractions around you. 4.) NYSTCE Practice Test Tip #4: Why Take Timed Practice Exams? Take practice NYSTCE test questions that are as close to your real New York state teacher certification test as possible. Think that you’ll have enough self-control to pace yourself during the actual test day? Think again. Those feelings of nervousness and anxiety can cause you to speed through the exam and make foolish mistakes. Pace yourself when taking NYSTCE CST and LAST practice exam questions to give yourself the control you need to finish the exam on time and maximize your passing score. On the other hand if your standardized testing skills are rusty, you may take too much time mulling over test questions and answers. You need to speed up. Don’t risk running out of time. Don’t wait until your exam date to see how you take the test under timed constraints. Whether you’re a slow, average speed or fast test taker, do the following exercise at least once per week. Take the total time given to finish your test and divide it by the total number of test questions. This is the amount of time you have for each test question. Take at least 50 NYSTCE practice test questions out of your book each week pacing yourself at a speed that allows you to fully read the question, consider each test answer and maximize score on the test. During this exercise and your exam date, skip questions you genuinely do not know the answer. Reserve a little extra time in the last 10 minutes of the exam and come back to those questions. Doing so will give a 50% better chance of answering them correct. Once you have a practice test, your prep work begins. Remember: smarter, not harder. How? Taking one full-length practice test worked better than taking two or more full-length tests if the tests were taken in a short timeframe. Again, extend the time between practice tests. One full-length practice test taken between 1 and 6 days before the final test had the most impact. So save one of the tests for this time period. Make sure you have more than one practice test available. Bucknell Teaching and Learning Practices suggests you use “neuroscience research” to set aside 20-40 minute chunks of time to focus on your work. No cell phones or other distractions. After each session, take a 5-10 minute break to stretch, snack, or check your cell at that time. Then repeat your session. This timing works well as you check your answers and carefully read the reasons that each answer is correct or incorrect. Even if you chose the correct answer, take time to read all of the explanations. You are looking for patterns or types of questions and answers. Which words or phrases or types of questions puzzle you? Why? Spend time learning this test-taking strategy. Each test you will take follows strict policies. A full description of these policies can be found at www.nystce.nesinc.com and the NYSTCE State Education Department. Read the policies. Seriously. When you take your NYSTCE practice test, follow the policies, especially the one about no distractions. Get used to the test setting by finding a place that is like the test place. Some sites suggest the library because you will have other people with you the day of the test. Set an alarm (a quiet one if you go to the library) so you can check your pace as you take the test sections. Place a star by questions that took longer than others. Again, ask why. Do the questions that took more time have anything in common? Is it the question that is confusing to you or is this simply material that is less familiar to you? Do you need to study the material? Or do you need to beware of this type of question because you are stuck on the wording or phrasing each time? Leadership positions require two tests. School building leader, school district leader and school district business leader tests are four hours each, costing $351-$427. The tests can be taken separately or scheduled in one 8-hour day with an added 40-minute lunch break. Here, too, you must ask whether the second test will suffer if you spend the entire day test-taking. Learning how to take high-stakes tests may seem foolish, but many candidates did not fail because they did not know the material. Their complaints are that they did not “know” the test. Using a NYSTCE practice test can be insurance that you “know” the test as well as the material. 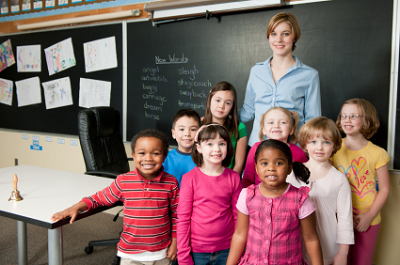 Passing the NYSTCE tests means you have achieved your dream of becoming a teacher. No more test anxiety! At least, none for you. Realize, though, that the same fears and frustrations will live in your future students as they face testing. Use your experience to teach them that they, too, can succeed.